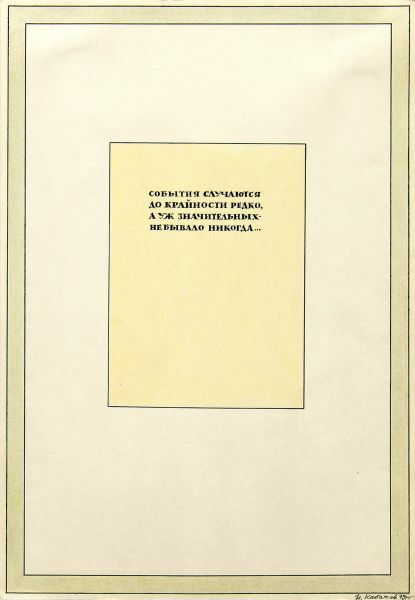 Buy works – Kabakov Ilya Iosifovich | (BORN IN 1933). 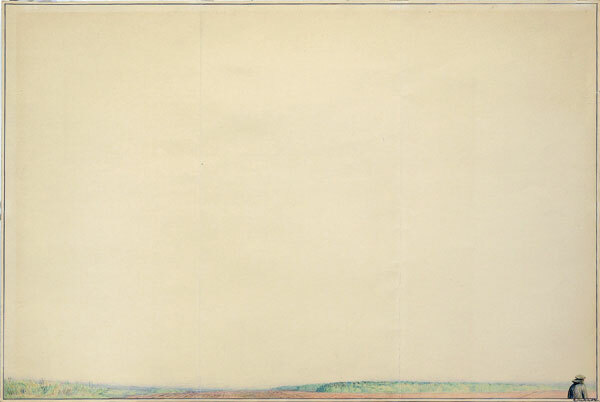 Kabakov Ilya Iosifovich (BORN IN 1933). In 1957 he graduated from the Moscow State Academic Art Institute. V.I. Surikov. For a long time he worked as an illustrator of children's books and magazines. In the 1970s, he was a member of the Sretensky Boulevard artists' association (Moscow). Lives and works in New York (Long Island) since 1988. The works are in collections of the State Tretyakov Gallery, the State Hermitage Museum, the State Russian Museum, the Museum of Modern Art in New York and private collections. E. Korobova says: Don't screw it into: I' ve already tried to do it. Technique: Colour pencils, ink on paper.